This one is for my sister. This fabric has been long in my stash and today was its day. I gave my daughter company when she took her noon nap and guess what my sewing time got converted as sleeping time.... hmm... had a good sleep, so can't complain. 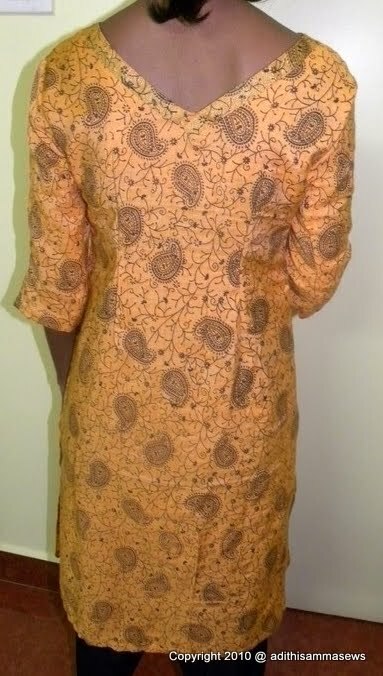 This kurta was made in record time of 2.5 hours from cutting to sewing. Happy with the result. Color and print are eye catchy! Fabric feels good on skin.